About – First Responders Resiliency, Inc.
First Responders Resiliency, Inc. is a non-profit 501 (c)(3) organization created “for First Responders, by First Responders”, and is dedicated to the psychological and physical well being of those who have served, or are serving, in the industry. Our IRS tax-exempt EIN is 82-4439334. If you are, or ever have been, a first responder you know reactive care to traumatic events (therapists, EAP and CISM) is not always 100% effective at dealing with the situations you see every day, many of which are not considered critical. Make no mistake, the cumulative stress of dealing with the issues we face is taking its toll. What many of us are good at is compartmentalizing our emotions so we can finish the job. The problem is, that skill often follows us home, making it difficult to separate work and home and eventually separate your feelings about work from everything else. Our one of a kind conferences and trainings take a look at the neuroscience behind the stress that makes us great at what we do, but creates its own set of challenges. Resiliency instructors provide education and skills vital to our mental, physical, and emotional wellbeing. You will leave the training with new tools and techniques that will not only enhance your professional performance – but may even save your life. 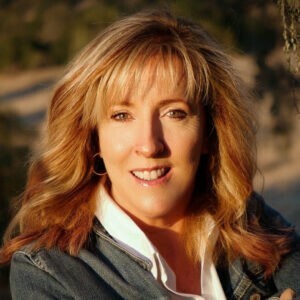 Susan Farren is the founder of First Responders Resiliency Inc. A graduate of the Stanford paramedic program, Susan has served her entire career in the industry of pre-hospital care. Serving in both the private and public sectors as a paramedic, supervisor, operations manager, peer counselor, clinical manager, EMS educator and consultant throughout the greater Bay Area. After being diagnosed with kidney cancer in 2016, Susan had to come to grips with the physical, emotional and mental impact the career had taken on her – and the Resiliency Training Program was born. After her treatment and recovery, Susan dove into the research and subsequent data discovered involving the mental and physical impacts the industry had taken on her. Armed with that knowledge she pulled together a team of experts from every division of the industry who are working as a team to change the lives of First Responders.